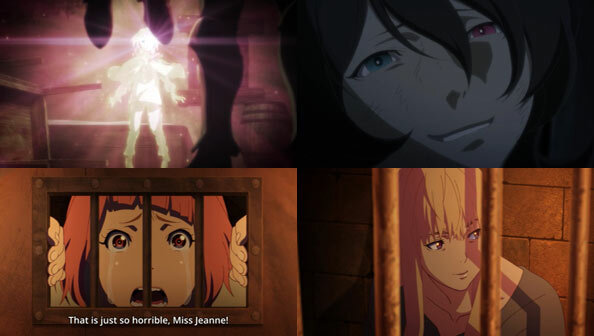 Ever wonder how Jeanne d’Arc went from Captain of the Orleans Knights to mother of El/Mugaro and prisoner in Charioce’s dungeon? This episode tells that tale, starting seven years back. 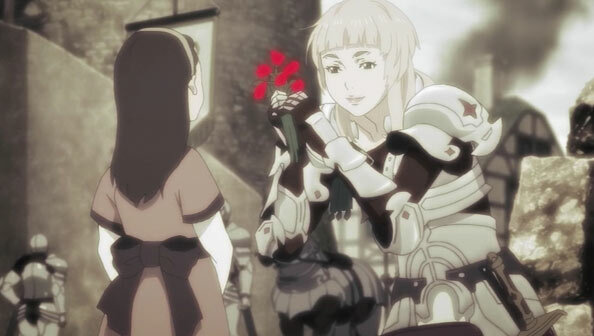 Things start to go wrong when Jeanne fails to save a young girl from a demon, and she starts to lose respect among her men—not all, mind you, but some is all that’s needed for a kind of rot to set in. Once he takes the throne (without the help of the Gods, a first for kings of Anatae) Chariorce gives Jeanne a choice: play ball and help him get the more god-loyal subjects in line, or face exile. Jeanne chooses the latter, and is eventually made to bear a child through the divine power of Michael—no hanky panky or months of pregnancy needed. Jeanne lives a simple life off the land, and she raises her winged son El well and he proves to be helpful, but they can’t escape from the worsening conflict between men and gods for long, and soon Jeanne comes to harbor an injured Sofiel from the dastardly Ebony Knights. 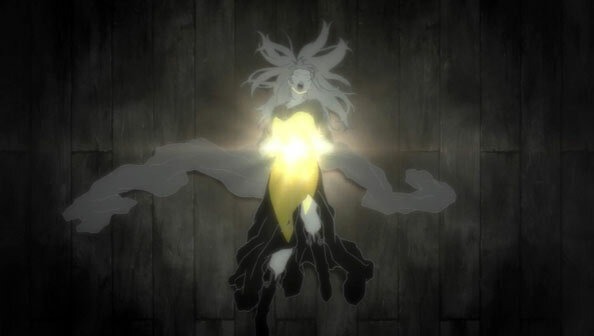 When the knights come looking for Sofiel and attack Jeanne, El uses her powers for the first time to neutralize them. They report El to Charioce, who orders Jeanne and El caught dead or alive. Jeanne clips El’s wings and hides him amongst demon corpses, then runs off with one such corpse to lure the knights away from her son. 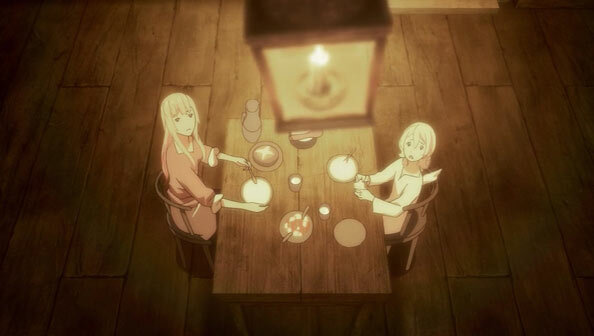 Jeanne gets captured and hasn’t seen El since, but Nina, who has heard her whole dreadfully horrible tale, is now convinced that Mugaro is El (despite her beliving Mugaro was a girl) and promises Jeanne they’ll be the first two to escape the imperial prison. Here’s hoping. I’ve just completed a three episode catch up as I’d allowed myself to fall behind a little with Bahamut this season. This was a great episode I thought. The scene where Jeanne clips El’s wings were truly harrowing and heartbreaking. I concur with Kornslips’ comment above.